Audiobooks now available in Google Play Store, special prices, 50% discount and what I bought. I frequently visit the Google Play Store to see the movies and books that are on sale and also because occasionally they offer coupons or special discounts to be applied in some book purchases or movie rents. Today I found out that now they are selling Audiobooks (competing with Audible from Amazon and Apple iBooks among other retailers) and you can buy them and listen to them using the Google Play Books App (I have it installed in my iPads Pro and my iPhone). Best part about this is that they are offering special prices in some Audiobooks like After the Game by Abbi Glines, The Hate you Give by Angie Thomas, Ready Player One by Ernest Cline, Norse Mythology by Neil Gaiman and others. Google is also offering a 50% discount on the first audiobook a customer purchase and who knows how long is it going to last. To get it you first have to enter and click in the offer on the Google Play Store so it can be applied to your account and after that you can choose the audiobook you want, is important you make sure the discount is applied at the moment of the check out. I spent a long time looking at the available audiobooks and at the end I bought “The Cruel Prince” by Holly Black. 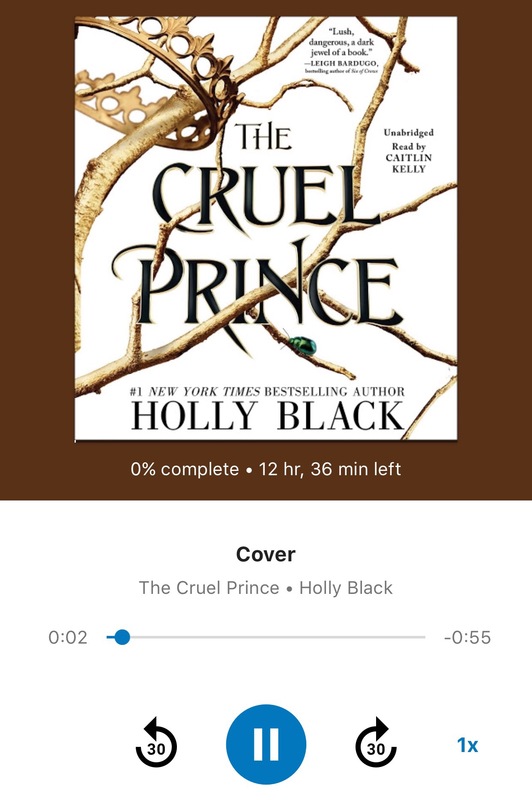 Many people recommends Holly Black’s book and I really wanted to read it this year, after listening a sample I loved the narrator, so now “The Cruel Prince is in my Google library 🙂 . Do you enjoy audiobooks? What are your favorites audiobooks? What audiobooks are you looking forward to listen this year? Photography: Looking at acoustic guitars.